The notes from the meeting have been uploaded to the working group’s website, the main points of which are summarised below along with some additional context. If you have any further thoughts, comments or questions about Blue House or Jesmond Dene Road it’s not too late to say. You can add comments to this article or contact us via the SPACE for Gosforth Facebook page, Twitter or Email. The two options presented for the Blue House junction were both roundabouts, the main difference between them being the number of vehicle lanes. The larger roundabout with three vehicle lanes would require the demolition of the Blue House and removal of a small number of trees within its garden. Trees marked in red on the plans are already scheduled for removal because they are dead or dying. The Council is no longer considering the turbo-roundabout option proposed for discussion at previous meetings. These are the two options. In addition to the demolition of the Blue House itself, the three lane roundabout would also have a higher capacity for motor vehicles and would, as a result, induce additional traffic. For anyone using the junction in a car this wouldn’t necessarily mean the traffic is any better and in fact, from a safety perspective, it could be worse because the roundabout geometry would not be as effective in slowing traffic out of peak hours. Nor would it be certain to have any economic impact according to a study of road schemes by the Campaign to Protect Rural England. 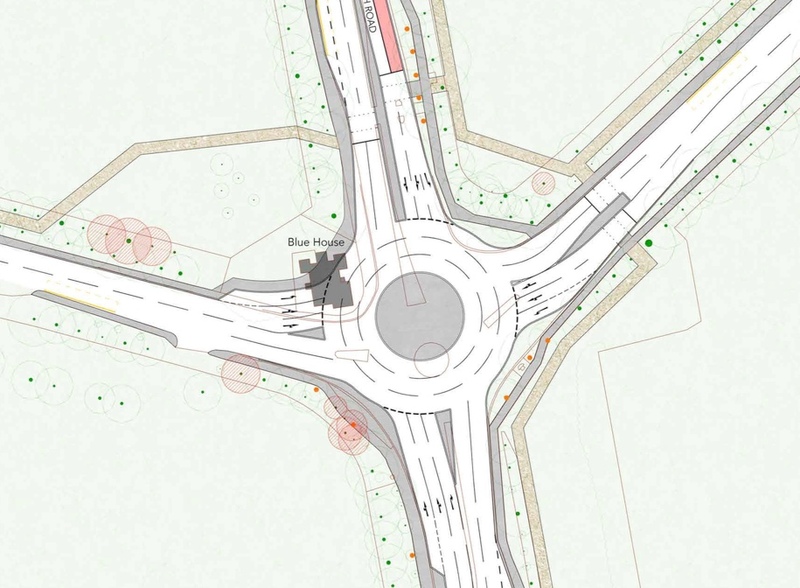 In one of our earliest posts on the Blue House roundabout we showed how traffic has recently reduced along routes leading to the Blue House roundabout. We’ve also looked at some of the organisations that were intended to benefit from higher vehicle capacity and found many of them committed to reducing how much they travel. Newcastle University has a Sustainable Campus Travel initiative which has reduced the number of staff single occupancy car journeys to the University between 2004 and 2014 from 40% to 16%. Work still to be completed includes a detailed modelling of likely traffic flow and the consideration of bus priority measures. Both will be required before a final design can be proposed. While there are already a large number of bus services running north-south across the junction (See Blue House Measures of Success Part 2 | People Movement) there are no bus services running down Grandstand Road and onwards to Haddricks Mill. For both roundabout options the walking and cycling routes are planned to be separate from each other and both separate from the traffic as is best practice on a busy road. It is important that walking, cycling and public transport are attractive travel options to avoid the alternative scenario where a much larger roundabout would be required. 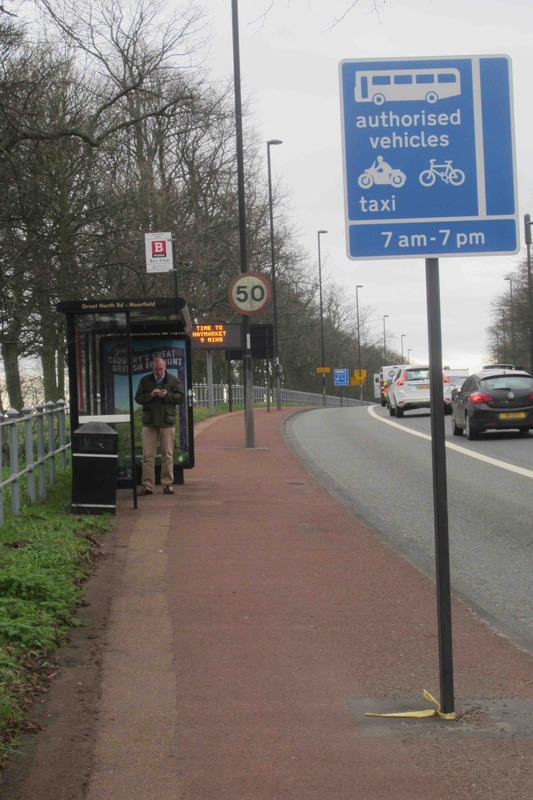 Access to/from bus stops from the walking path for people walking. The need for lighting and how to make sure people feel safe when using the paths at night. Whether the cycling (or walking path) is shared use or dedicated. Ensuring the cycling paths are suitable for families and children as well as being attractive for faster cyclists so they will choose to use them in preference to the road. Whether any new paths are located within the Moor or between the trees and, if the latter, will there be an issue with leaf fall. Construction material and how to avoid damage to existing trees. The Council shared details for a low-maintenance porous paving product made from recycled tyres that could be laid on top of the existing surface. Quality of the surface and how to place signs and lampposts. Opportunities to alleviate flooding risks. A further option, not discussed at the meeting, would be to reallocate existing road space for walking / cycling paths. The following pictures show where the new paths would go if these plans are implemented. Please click on any of the images if you want to see a larger version. Coming from Gosforth the path would go alongside the edge of the Little Moor. 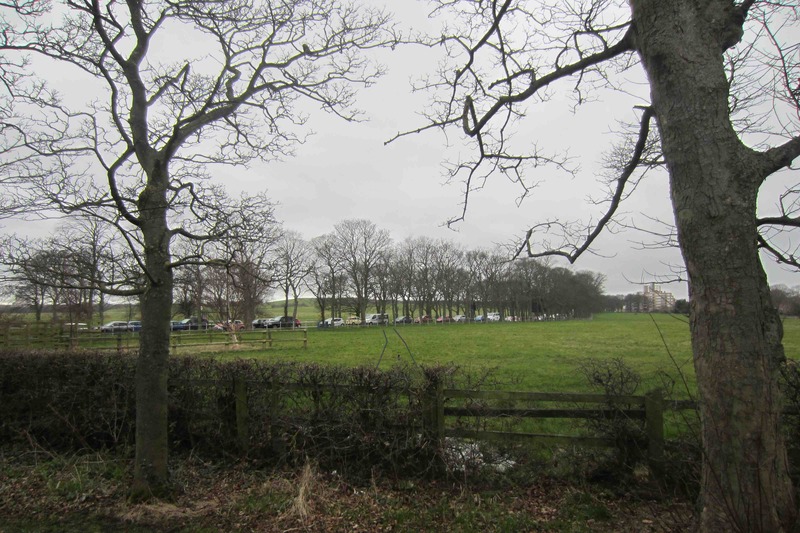 The picture on the left is taken facing north towards Gosforth. When the path gets to Blue House it would cut across the corner with a link to the proposed new road crossing through an existing gap between the trees. 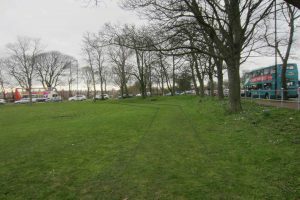 Looking from Jesmond Dene Road, this shows the gap in the trees where the path from Gosforth would lead to the crossing over Jesmond Dene Road. Once over Jesmond Dene Road the path would continue south on the other side of the trees from the Great North Road. Going east towards Haddricks Mill Road and Jesmond the path would go along the wide avenue between the trees along to Ilford Road. Going west, the path would go behind the Blue House and then along Grandstand Road routed between the trees. Making the new two-phase crossing on Jesmond Dene Road single phase so the road can be crossed in one go rather than having to wait in the middle of the traffic. 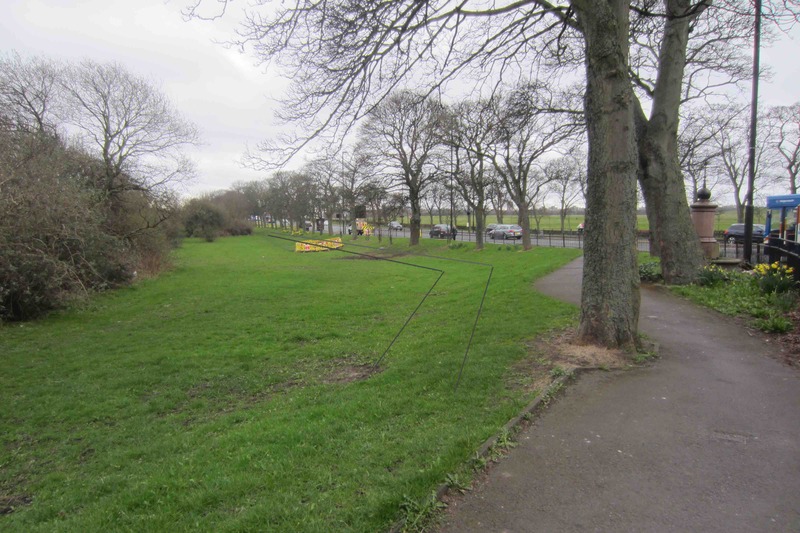 Installing a crossing on Grandstand Road so people have safe access to the Town Moor and its walking paths. A new Toucan crossing next to Friday Field’s cut where Jesmond Dene Road meets Haddricks Mill Road to allow residents of Beatty Avenue and Sturdee Gardens to cross safely to Jesmond Dene and to the cut through to Jesmond. Traffic-free two-way cycle lanes on the west side of Ilford Road and on the north side of Jesmond Dene Road between Moorfield and Haddricks Mill Road, but with no changes to Moorfield itself. A four way junction (possibly a mini-roundabout) between Moorfield and Ilford Road to slow traffic travelling north – south. Narrowing Moorfield on the section immediately west of Ilford Road to slow traffic approaching the same junction from the west. The traffic lights where Moorfield meets Jesmond Dene Road have been moved closer to Moorfield. This latest iteration does not address wider safety issues caused by high volumes of through traffic using Moorfield and Ilford Road, including on Moorfield east where, based on these plans, children over 11 who wanted to cycle would have to use the road with this traffic. 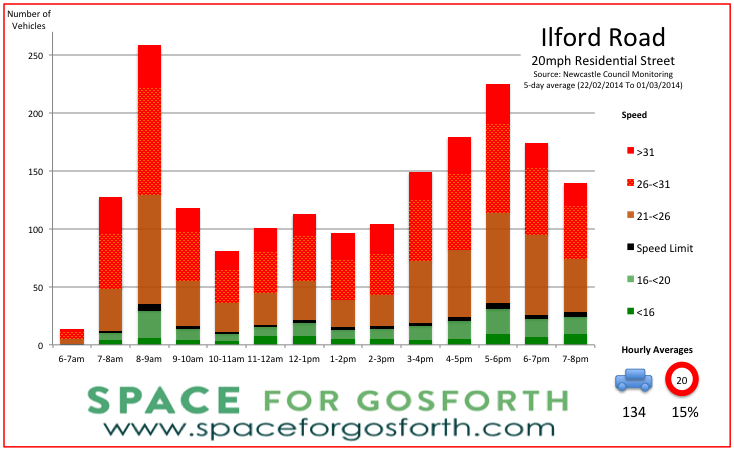 Previous speed measurements on Ilford Road, from 2014 suggests that 85% of drivers exceed the 20mph speed limit on this road and that during morning rush hour / school drop off there is one vehicle roughly every 14 seconds. Details for other local streets including Moorfield can be found on our blog Important dates for East Gosforth. While feedback was provided by a number of groups, the main point of discussion was the survey carried out by Jesmond Residents Association. This was answered by 243 people and asked what would enable you to make journeys walking, cycling or via public transport rather than by car. These add weight to the changes already discussed to make walking and cycling safer and more convenient, and to retain bus priority measures such as the bus lanes on the Great North Road. It is also clear from the British Social Attitudes survey that fear of traffic is a major barrier to people taking up cycling. It found that 61% of all respondents felt it is too dangerous for them to cycle on the roads including 69% of women and 76% of those aged 65 and over. The Jesmond Residents’ survey also asked what measures would people support to promote walking, cycling or public transport. The following measures were supported by a majority of those who responded. The next meeting of the Working Group is scheduled for the end of April, by which time the Council should have completed its vehicle modelling and have created some more detailed plans for Blue House and Jesmond Dene Road. If you have any further thoughts, comments or questions about Blue House or Jesmond Dene Road it’s not too late to say. You can add comments to this article or contact us via Facebook, Twitter or Email. This entry was posted in Blue House, Cycling, Walking and tagged cycling, great north road, Jesmond Dene Road, Safe Routes to Schools, Town Moor, walking on March 29, 2017 by SPACE for Gosforth. Thank you for your excellent summary of the March 2017 meeting. 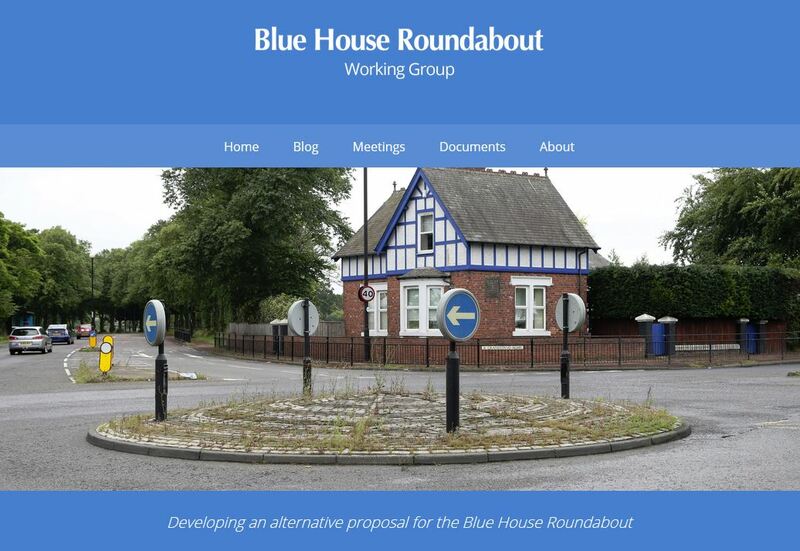 I definitely hope the ultimate Blue House roundabout solution will include retaining the landmark Blue House building. and therefore favour the 2-lane roundabout solution. It’s not clear to me why the NW cycle path proposal has to cut across the moor rather than follow the Blue House rear boundary. 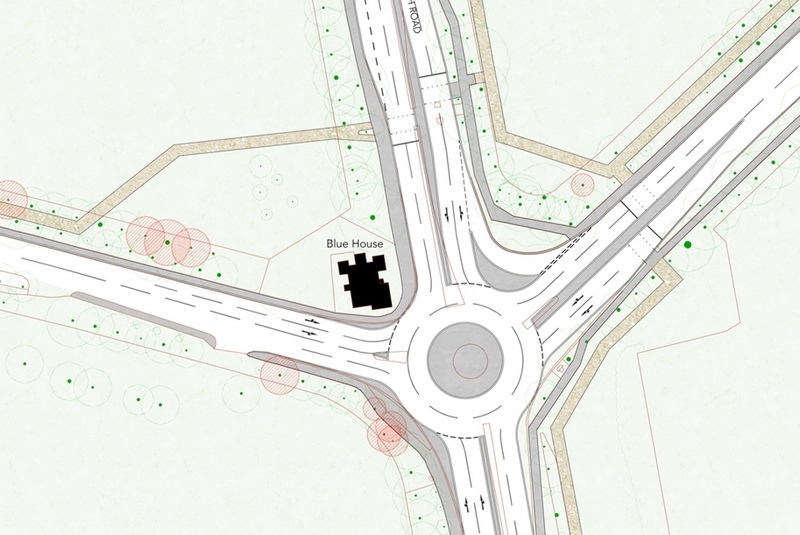 Also, it should be possible to relocate the roundabout and its associated approach roads a few metres SSE to provide greater clearance between the adjacent roundabout roadway and the corner of the Blue House building, thereby giving traffic greater visibility and well-being clearance at that Blue House corner. Hi Ian, just looking at the plans for the NW corner, I believe there is a fence around the trees jus to the south of the path that isn’t marked on the plan, so in practice the proposal is to follow fairly closely to that boundary. On the SE corner of the roundabout is the Laing Memorial Fountain which will prevent the roundabout being moved any further in that direction. Thanks to SPACE and other attendees for all their hard work and time given to the working group. I do however have a number of reservations about the plans as they currently stand, and I hope these comments can be taken into account. 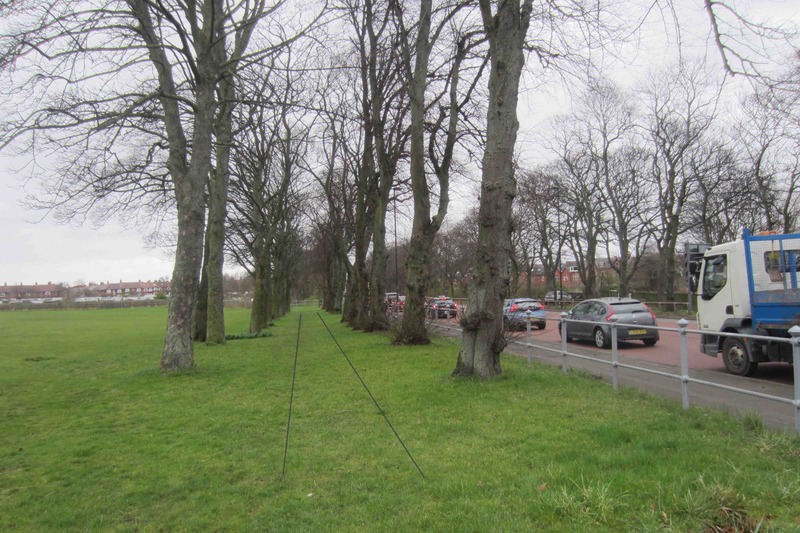 I have previously expressed concern on the Blue House Working Group website (meetings 5 and 6) about the proposed cycle routes running in between avenues of trees on Grandstand Road and Jesmond Dene Road. I remain very concerned about these routes and those proposed within the Dukes Moor and Little Moor. 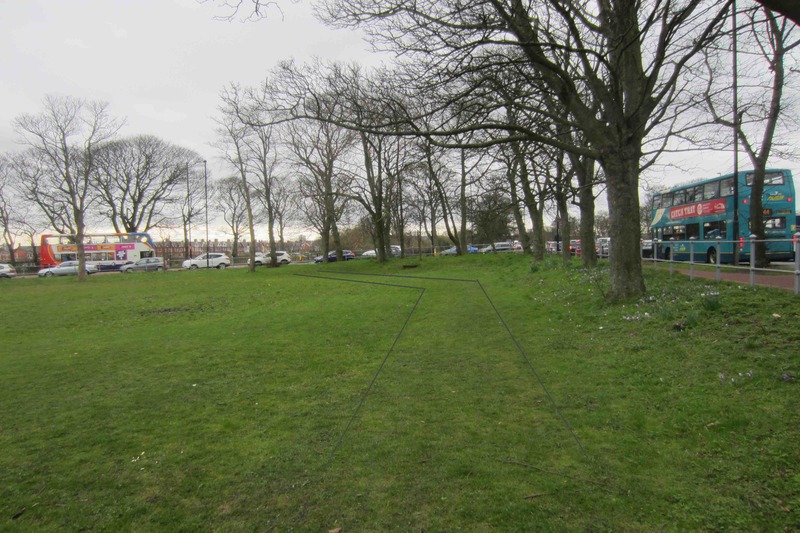 – whilst it may be possible to use a ‘No Dig’ system such as or Geocell or Cellwebb to construct the cycle paths, excavation would still be needed to provide lighting columns and the electricity cables needed to service them. All adjacent trees are therefore still potentially at risk from serious root zone damage. – lighting of the cycle routes would also be very damaging to Bat species that use the Moors to catch insects at dusk and at night in summer. Bats also use hollows in trees to roost and breed. Bats are very sensitive to artificial light and would no longer be able to feed, breed or seek refuge in these locations. As bats are a species in decline in the UK this is a serious concern. – the path running through Dukes Moor would potentially cause conflict between users and the resident cows that may be spooked by passing bikes, particularly those travelling at speed. Cyclists would also be inconvenienced by the need to negotiate the self closing gates on entering and leaving the Dukes Moor. – the proposed cycle routes would all have a negative effect on the character of the Moors, removing valued green space and replacing it with hard surfacing. The character of the Moors is defined by the wide swathes of open space surrounded by avenues of trees and this would be compromised. – In light of the above, I think that an alternative option to provide shared routes for pedestrians and cyclists without impinging on the Moors or tree avenues would be highly preferable. There would not be any conflict between these users because there are relatively few pedestrians and cyclists using the Blue House area. The simple reason for this is that the Blue House does not reflect a desire line for non motorised travel. The Brandling/Tankerville/Highbury/little Moor route will always be the preferred cycling route because it is more pleasant, quiet, convenient and less polluted. 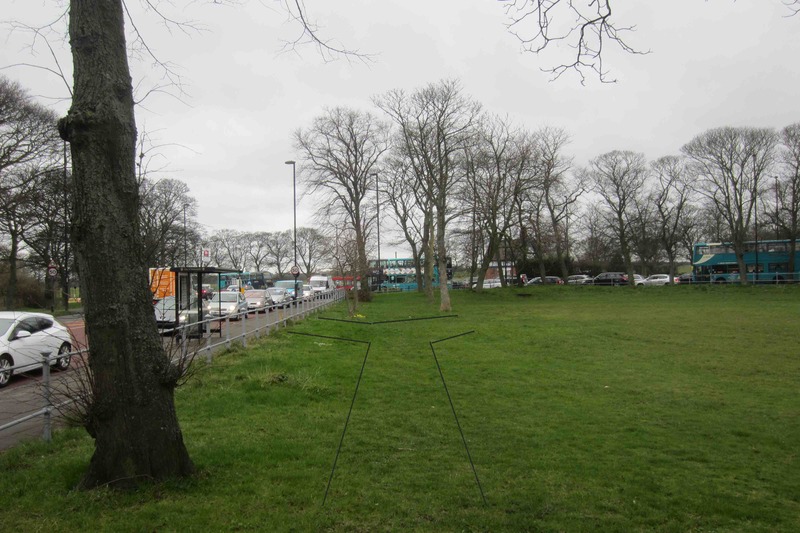 Those heading from the city centre to West Gosforth would continue to use the existing route on the Town Moor. 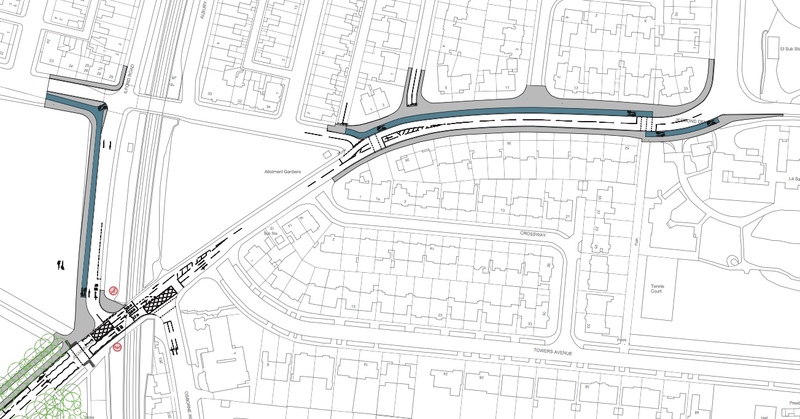 I would therefore request that this proposal is reconsidered, and that the potential for creating shared pedestrian and cycling routes around the Blue House, is progressed as a preferred alternative, along with the smaller Roundabout option shown on the plans. Julie – thanks for your comment. We can certainly share your concerns about lighting and bats with the Council. I’m not sure how much difference it would make given the area is already well lit but there are others on the working group who I am sure will have a strong opinion on this. Regarding your other comments, there are quite a lot of people who do walk or cycle down the Great North Road despite the very poor crossings at Blue House. That doesn’t feel too surprising as the other route you describe is a good bit longer and, apart from the crossing, the direct route is traffic free unlike Tankerville Terrace, which can be very busy with school traffic in the mornings. Also I’m not aware of any issues with the Town Moor cows on the existing paths and generally the cows have always seemed to me to be quite well accustomed to having people walk and cycle past? Thank you for your reply to my post. I don’t understand why the option to provide shared routes has not been progressed so far, particularly given the serious problems associated with the proposed cycle routes on the Moors and in tree avenues. The existing Little Moor shared route that runs from Highbury to GNR is probably one of the most well used routes in the City. I walk along here every day at peak time (5 pm) and note the constant stream of cyclists going in both directions. I also walk along the Little Moor itself with my dog around this time and very rarely see a cyclist or pedestrian on the GNR path, going either north or south. It’s the same situation on JDR going towards or from BHR. There is no conflict between pedestrians and cyclists along the Little Moor shared route, despite heavy usage from both types of users. The path is not even delineated for each user type, and yet it functions perfectly well. So why can’t this approach be considered for GNR along the proposed pedestrian routes? The encroachment on the Moors and lighting columns requiring excavation in tree root zones would then not be necessary. You might say that if the segregated routes are provided, increased numbers of pedestrians and cyclists will be encouraged to go directly along the GNR/BHR route. However, most cyclists and pedestrians, quite justifiably, seek to avoid heavily polluted routes and the GNR/BHR will always fall into this category. This is partly why the Highbury route is so well used and it will always be the healthier route to take. You mention the traffic issue at the Tankerville area but this is only for 30 minutes a day during school terms and at all other times is generally traffic-free. If cycling this way at school drop off time, I avoid Tankerville by a quick detour going west along Forsyth Road/GNR shared path then back onto Clayton Road and Brandling. Much better than breathing in toxic traffic fumes along the entire GNR/BHR route amongst the din of heavy traffic noise. I do acknowledge that some people will nevertheless choose to cycle or walk close to BHR despite the poor air quality, but not in high enough numbers to warrant segregated routes for pedestrians and yet another for cyclists. Finally, with regard to the Dukes Moor cows, they are very skittish when they first arrive in May, and it is at this time in particular that problems may occur. The Town Moor is not comparable as it is a much larger space for the cows to herd away from the main path. I doubt that many cyclists would use the Dukes Moor route anyway due to difficulties in negotiating two sets of self closing gates within a relatively short distance. Most would use the proposed pedestrian paths closer to BHR instead for convenience. It’s worth noting that no decision has been made on whether any new routes would be for people to cycle on, walk on or would be for sharing, or in fact whether there will be additional routes at all. Like you say, it might make more sense for the existing pavement to be designated the cycling route. If that is the case the potential conflict points would need designing out e.g. at bus stops, and this would also be the case if e.g. the current pavements were widened using existing road space to allow them to be used safely by people walking and cycling. From looking at the Strava Global Heatmap (http://labs.strava.com/heatmap/#15/-1.61643/54.99532/blue/bike) both Little Moor and GNR are popular cycling and running routes, as is Grandstand Road and Jesmond Dene Road, though possibly the latter reflects the lack of any real alternative east-west route. This is certainly consistent with my experience of the routes. The one thing we do need to remember is that the purpose of including high quality walking and cycling routes is to help avoid a mass increase in traffic, which itself would require considerably larger junction with far greater impact on the Town Moor. Thanks for your additional response. I do understand the aim to provide a more attractive and less polluted route along GNR/BHR for both pedestrians and cyclists. I therefore suggest the following which I hope can be considered. 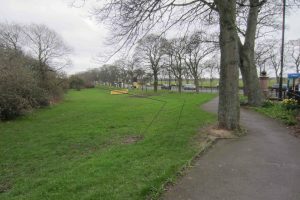 – The proposed routes set within the Little Moor and Forsyth Road could be shared routes, catering for both pedestrians and cyclists. The routes do not necessarily have to be lit if there is an alternative shared route (i.e. the existing paths alongside GNR), that can be used for the fewer numbers using this desire line after dark. 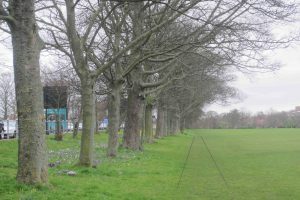 – The proposed routes on the Little Moor and Forsyth Road field would have an impact on the character of the open space but this could be softened visually by planting an additional avenue of trees along the eastern side of the routes. This would also have ecological benefits and help to absorb pollutants. are sufficient to cater for the fewer numbers of pedestrians and cyclists who make this east-west journey across the BHR. Indeed, on the southern side of these roads, there is already a route set within the avenues of trees and I would suggest that it is not necessary to repeat this on the north side of both roads. There is a pavement anyway on the north side which functions as another shared route. 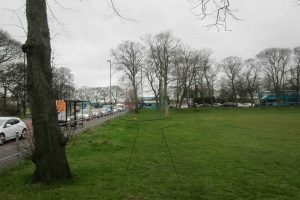 – the proposed route across Dukes Moor could become another shared route, and would probably be used more by pedestrians than cyclists. As previously mentioned, cyclists would be inconvenienced by the need to dismount to negotiate self closing gates, so may prefer to use the alternative route nearer to BHR (which should remain a shared route as existing). Again, the Dukes Moor route may not need to be lit if the existing path adjacent to BHR is available for all users after dark. – Indeed, research shows that cycle routes remote from natural surveillance may not be used after dark, even if lit. It may therefore be preferable to provide a lit on-road alternative that matches the desire line (i.e. the existing shared paths along GNR). This would also be easier to maintain in the winter months when daylight is limited, in terms of the need to deal with leaf fall. These routes would also benefit from gritting of the GNR during icy periods, as it gets sprayed onto adjacent areas. I hope these comments are more constructive and can be given some further consideration before proposals are finalised.